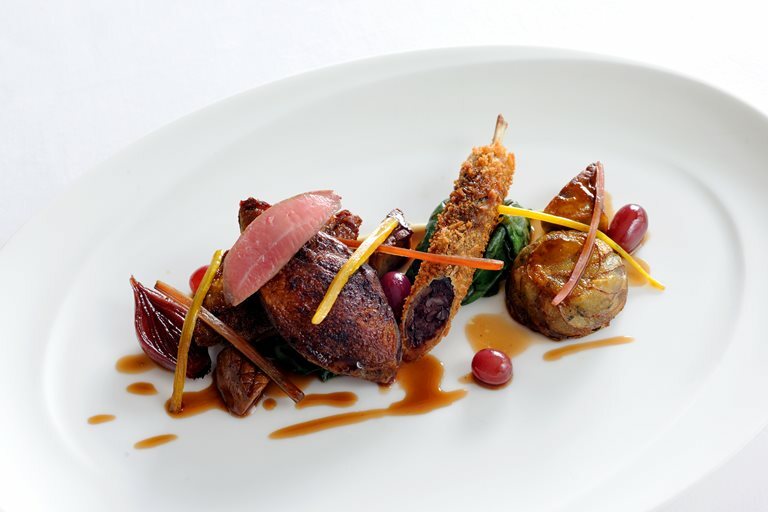 This Robert Thompson squab pigeon recipe uses the breasts and legs of this moist and tasty bird. Prepare the legs earlier in the day and then fry just before serving. If you are unsure about butchery, ask your butcher to prepare the bird for you. This game dish requires cooking sous vide so make sure you have all the necessary equipment before you begin. Learn more about how to roast a whole pigeon in our guide. Shallow fry the breadcrumbed legs until golden and crispy and then carve the breasts off the carcass.